Look ever so polished in this handmade tie by Puccini. 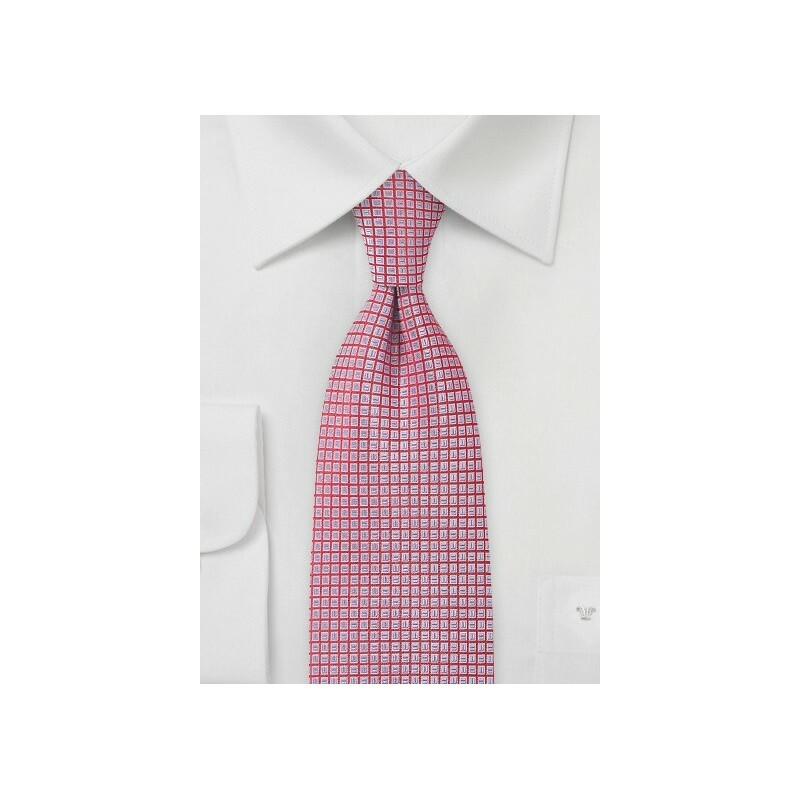 With a grid-like design woven on, you will immediately notice the attention to detail. We do our very best to provide you with a top of the line product, and on this piece the weave technique is done so tightly, that it is rare to experience a snag. That will make this tie perfect for on-the-go excursions where you need to look as professional as you are successful.. which is a lot. Don't fear, we've got you covered. 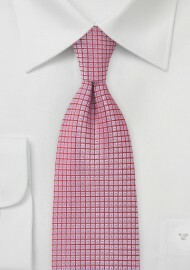 Try this tie with a basic dark gray button up. It will look so nicely against the subtle cherry red and blue jay design. You would think with such vibrant color choices, that this tie would be a bit too loud, but in reality it is the perfect mix of bold and chic.